Rob Moore of Honley CC takes possession of a cheque generated by profits from It’s Not Lord’s, a W. Yorkshire cricket book first published in 2011, inspired by Peter Davies, creator of http://www.ckcricketheritage.org.uk, edited by Dave Walker (pictured with Rob above). 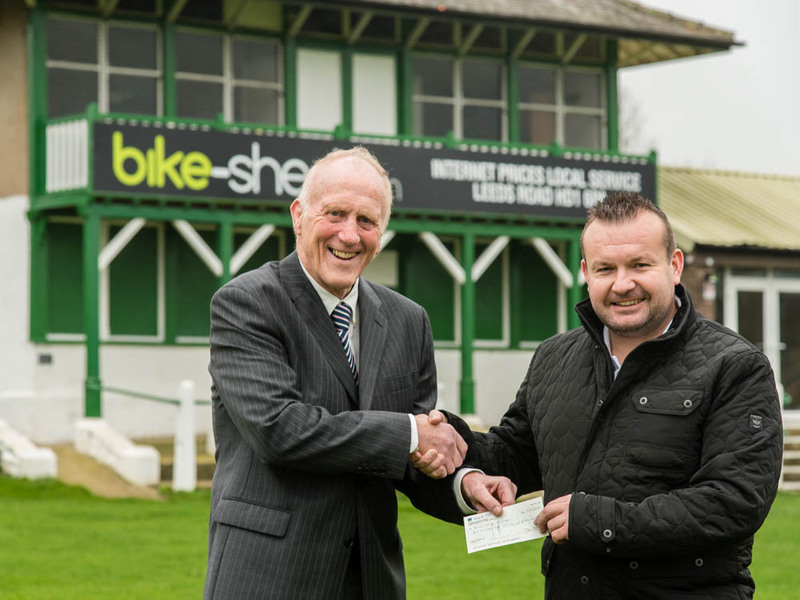 At the very start of this project, David Walker, publisher of Shalliley Books in Holmfirth, kindly committed all of the profits of his book on local league cricket, to the pavilion redevelopment. “It’s Not Lord’s” is a fascinating account of how our cricket clubs have progressed, and charts the often turbulent birth and development of our local cricket leagues. At £7.50, it makes a wonderful stocking filler – copies can be obtained by ringing David on Tel: 01484 683196, or from the Holmfirth Tourist Information Centre.